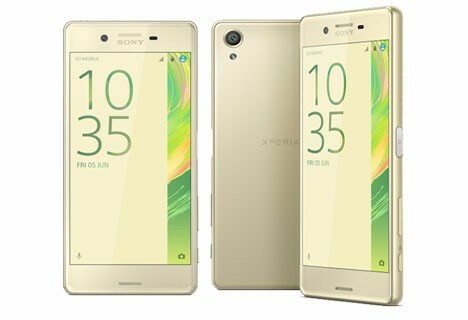 Sony introduced the X series as Kind of Sub-flagship smartphone and now they have launched Sony Xperia X focusing on the camera department with sacrificing the performance by installing a mid range processor, The key features are Android v6.1 (Marshmallow) OS, 5.0 inches FHD display. Snapdragon 650 Processor, 23 MP rear and 13 MP front camera, 32/64 GB ROM, 256 GB SD card support and 2620 mAh battery. Design of Xperia X is inspired from its own Omni-Balance design and Xperia Z5. The metallic body with stunning Ergonomics looks truly premium and solid build. It's also well balanced design with 7.9 mm of thickness made it easy to hold. Power button and volume rockers are placed at same right side and left side houses the Hybrid Dual SIM tray and top has 3.5mm audio socket. The impression of display is also quite pleasing although it’s not the AMOLED but the quality is not less than AMOLED featuring deep black well balance colour without over-saturation. Here Sony decided to go with Full HD (1080p) resolutions instead of 2K or 4K, Screen graphic quality is not going to disappoint the customers in any way which is also protected with Sony scratch resistant glass with oleophobic coating. It is clear to see that Sony released this smartphone for amateur smartphone photographer as it has 23 MP primary and 13 MP secondary camera using Sony's own Exmor RS sensors. The outdoor photography is fun with handset but we don’t get the point that Sony ditches the OIS in such premium priced handset, and phone is completely camera centric and still missing 4K recording . However there is DIS (digital image stabilizer) helping many times to capture moving images and videos as well. Both Cameras are helpful for taking good quality photos with sufficient details. We are really disappointed with Sony’s decision to use Snapdragon 650 processor in a phone cost around ₹ 46000 (~ $600), and same processor is also found in Redmi Note 3 priced around ₹ 9999 (₹150). comparing tier 1 brand with tier 2 brand is unfair but it is just to clear the price gap. The day to day tasks are quite smooth while performance is not able to stand with counterpart devices like Samsung Galaxy S7, hTC 10 and LG G5. Phone screen on time (SOT) is 4:30 hours which is decent enough, as it has 2620 mAh battery. For a balance user the battery can easily run for 24 hours. A well managed ergonomical premium design. Fingerprint sensor integrated into the power button. Good camera capable to capture detailed photographs. Phone is very expensive considering the Counterpart device. Not a water resistant body. Camera is missing OIS and 4K video recording. Sony is expert in making some specific hardware component for audio and as well as camera, Xperia X is an example of this expertise, phone has eye-catching design and a camera that can take detailed photographs. Phone is great option for Sony fans but I doubt about the high performance of the smartphone as it has Mediocre processor in premium range price tag, for better performing mobile you can also choose Samsung Galaxy S7, hTC 10 and LG G5.